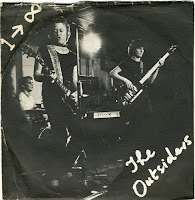 South London based punk band with a lot of influences by "Velvet Underground" or "The Stooges". "Consequences" appeared in the mythical compilation "Business Unusual (The Other Record Collection)" released by Cherry Red Records in 1979. Love it! Cheers, J.